Shear features a multi layered look and is super-light weight (only 1.6 oz). 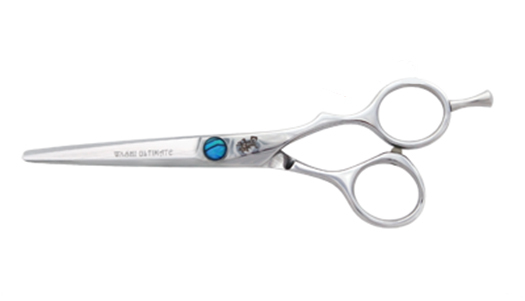 A beautiful hair cutting instrument, designed to perform with flawless precision for years. Made from Damascus Steel that gives this shear its unique beauty. It features a multi layered look and is super-light weight (only 1.6 oz). Below the beautiful motif is Hitachi ATS-314 steel for outstanding edge durability. Designed for all types of hair, ideal for slide cutting on wet or dry hair. Made in Japan. Features Washi's New Anti-push edge! Includes a case and Washi razor.